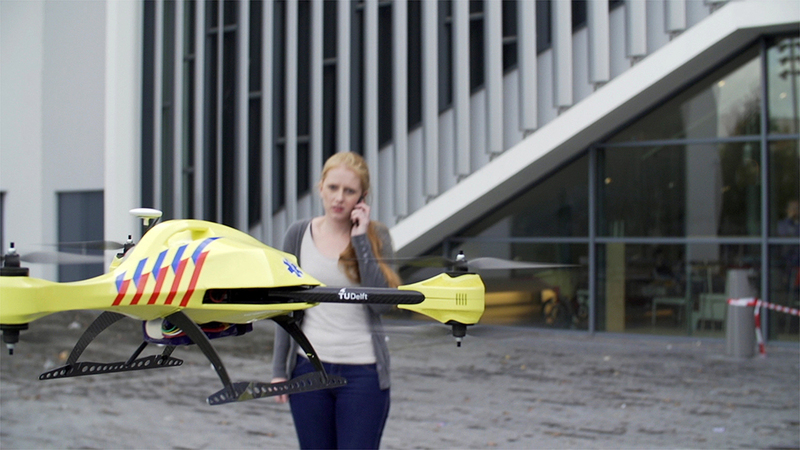 Alec Momont (Faculty of Industrial Design at Delft University of Technology) in cooperation with innovation platform Living Tomorrow developed this prototype of an ambulance drone during his graduation. 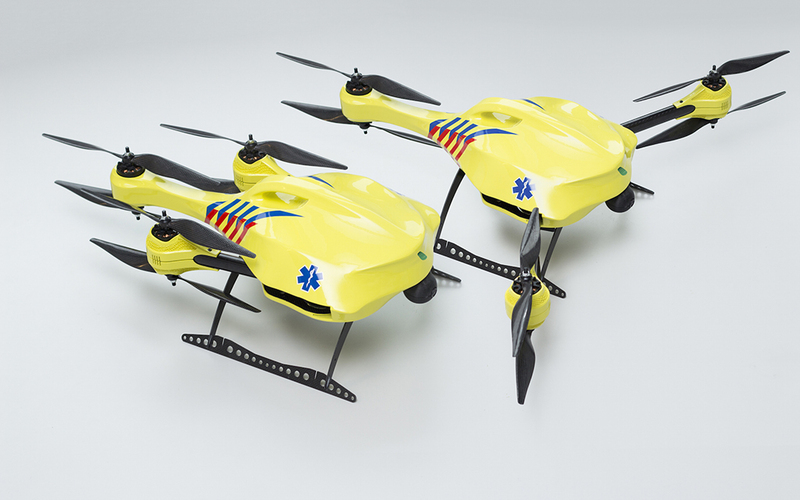 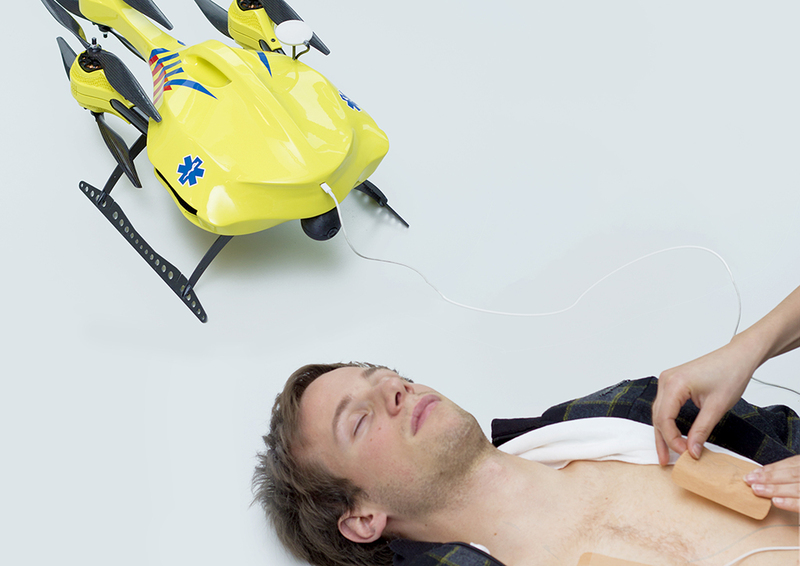 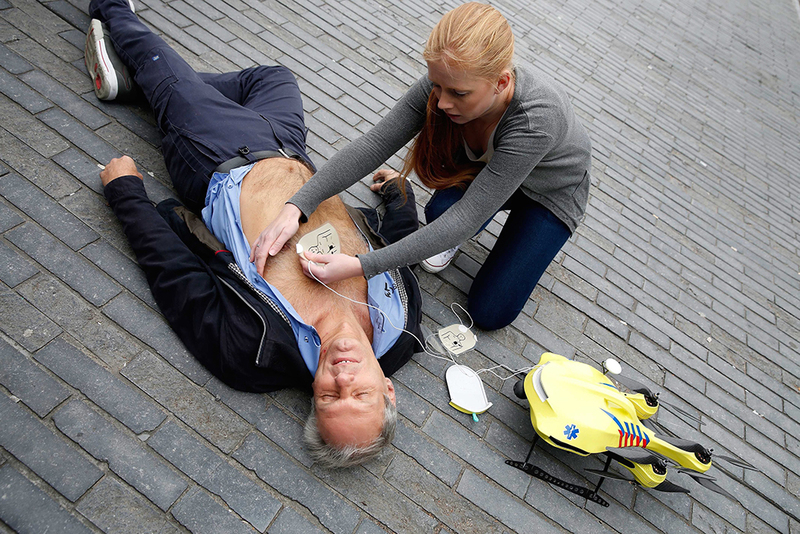 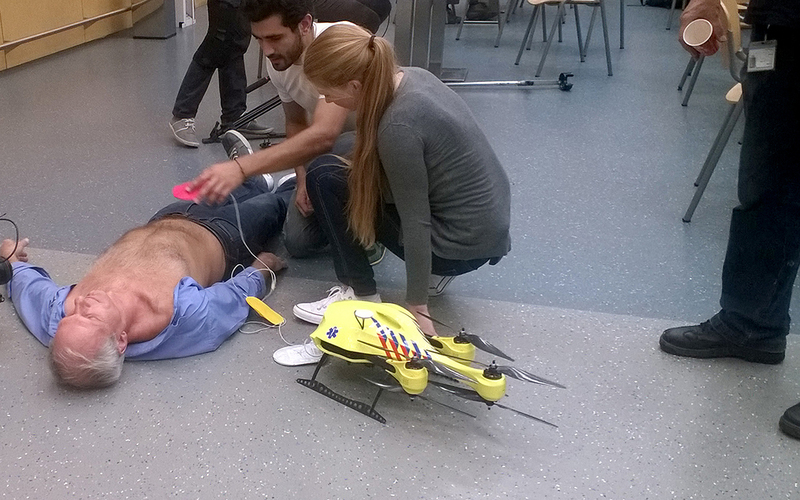 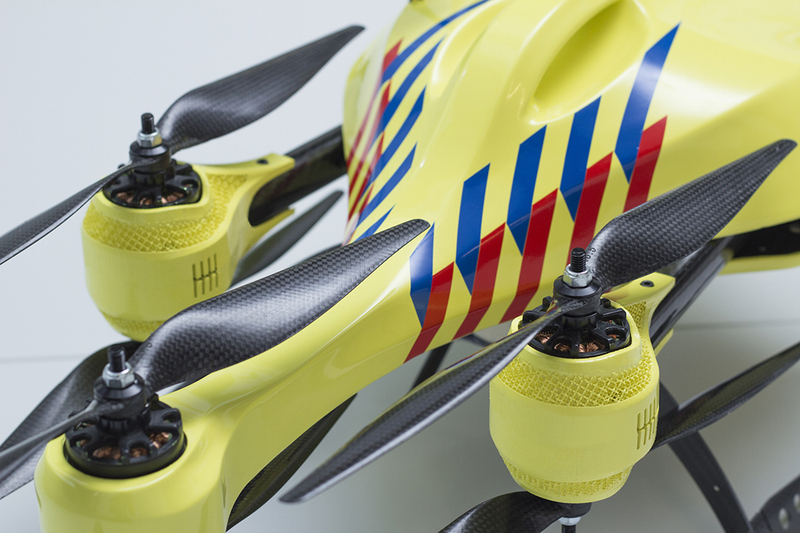 In cases of emergencies, such as a cardiac arrest, the autonomously navigating drone can rapidly deliver a defibrillator; an audio-video connection provides people at the occurrence location with feedback and instructions. 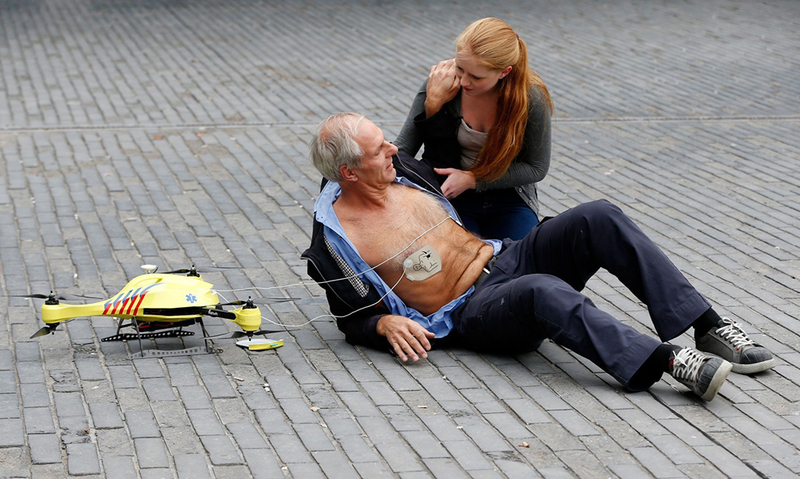 The application determines the location of the victim on the basis of the caller’s telephone signal, and finds its way thanks to GPS. 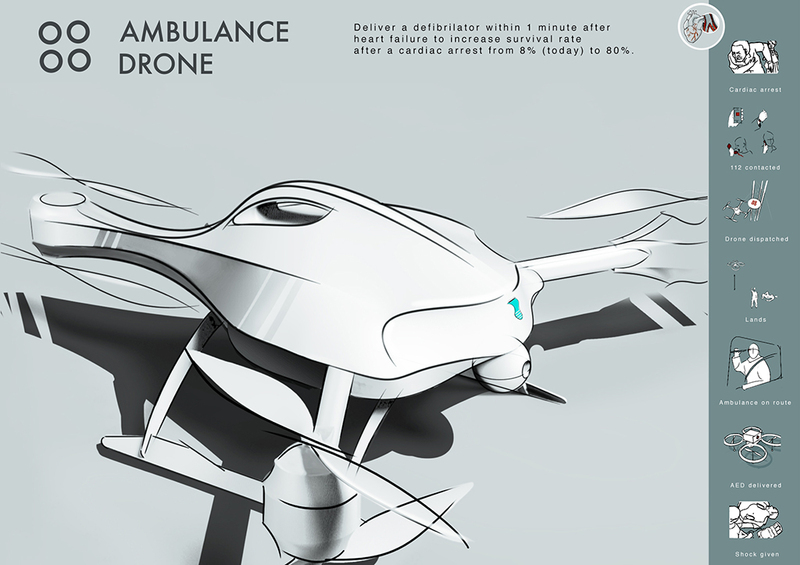 The drone can reach a speed of around 100 km/h, weighs four kilos and can carry loads of up to four kilograms.